Are you someone who enjoys solving complex puzzles taking several competing factors into account? Do you enjoy working in a challenging environment? Are you keen on details but also able to see the big picture and make choices accordingly? Developing a view on how to interpret complex areas within the IFRS 17 Standard. Support the decision making within the boundaries of the IFRS 17 standard by analyzing the impact of choices on both systems & processes as well as on financial results. Translate our interpretation of the IFRS 17 standard into business requirements for changes to be made in processes & systems. This will involve working with both actuarial as well as accounting processes & systems. Take ownership of these change initiatives and oversee the end-to-end impact of the choices we make. Our young and dynamic team is small but with a large impact on the future of the finance organization. We all feel responsible for driving this change with the highest quality. We work hard and enjoy the journey. NN is a large, stock exchange listed organization. Our team is part of the Dutch Life Insurance entity, which is the biggest business unit within NN Group. Job scale and compensation in line with seniority (hay level 16/17);A one- year contract. Please send your application for IFRS 17 consultant (hands-on) at Nationale-Nederlanden in Rotterdam including your CV via our website. 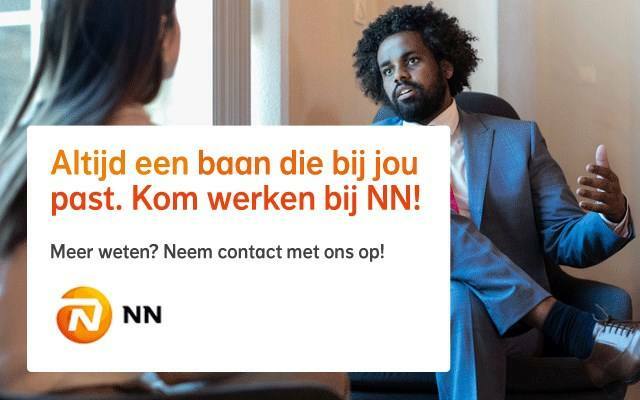 Do you have questions or do you need more information about the job, please contact Jacolien Mulder: Jacolien.Mulder@nn.nl .